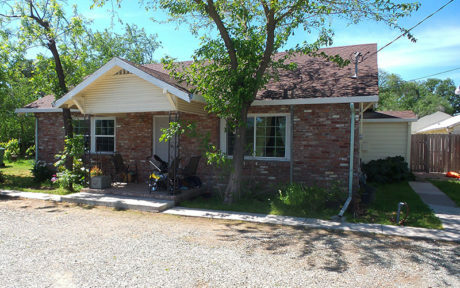 Rio Linda has affordable country living in the Sacramento area. Rio Linda homes can have enough land to house horses, farm animals, have a very big garden and may other country living activities. Rio Linda in northern California is a country atmosphere in the city. Many of the businesses are small, family run places. Getting to know some of your local merchants personally is part of country life. The heart of Sacramento is close enough that you can conveniently get to work or go shopping, without having to listen to the sounds of the city while you’re at home. It takes less than 30 minutes to drive to Sacramento, Roseville, Rocklin, Marysville, or the Sacramento international airport. So it’s convenient to go shopping or to visit the cities in the Sacramento area. There are a many parks and several schools in the area, including Rio Linda Senior High School. Rio Linda has many horse properties and riding areas. Many of Rio Linda’s horse properties have barns, arenas, round pens, pastures and other horse amenities. Rio Linda is a nice area to live. Rio Linda is a great family community along with a notable real estate investment.